With Mother's Day less than 2 weeks away, on Sunday 11th March, it's fallen early this year so we all need to be prepared. I thought I'd show off what is available at the moment for those mums out there - the perfect gifts for Mother's Day. Some items are perfect if you're on a budget or for if you want to splurge, but most of all, they're all with mum in mind. Made especially by Kat, More Than Words offer a fully personalised and bespoke poem for that special person in your life. Perfect for Mother's Day, you simply need to provide them with some background info on the person you want the poem for and she will write it into a poem for especially for that person, and will frame it in a choice of colours. Kat asked me to get some information from the kids, asking for them to think of words to describe me. Using these, as well as finding out about some of my hobbies, and about me, she came up with a poem just for me. The finished poem is stunning and is such a one-off gift that makes it such a special item for Mother's Day. Give mum a gorgeous scent this Mother's Day with the Verbena Spa diffuser from Only & Eve. I recently wrote a post entitled Escape To Enchantment With Only & Eve in which I detailed how amazing their range of candle and diffusers are and so I just had to include one in my Mother's Day post. The Verbena Spa scent has subtle touches of rose, jasmine and melon to mix in with the verbena and lemongrass. Mum can relax at home with these scents of tranquillity, leaving the whole house smelling fresh for up to 12 weeks. Feathering the stunning Body Butter, Bath Soak and gorgeous candle, the Mother's Day Pampering Bundle is a great gift and comes in 2 scents, Vanilla Blush & Peony and Nectarine Blossom & Grapefruit. Mum can relax in the bath, lighting the beautiful fragrant candle, the unique wax blend burns for up to 35 hours and diffuses a rich, always-fresh and continuous scent to gently radiate throughout your home as you bathe in the glowing candlelight. The glossy elixir of the Relaxing Bath Soak has a subtle fragrance and pillow-soft bubbles so mum can immerse herself into the relaxing bath. And the Luxurious Body Butter is so deep in moisture with a thick, smooth texture so mum can leave the bathroom in full relaxation mode, with the gorgeous scent following. I always think a good quality bag is always a great present, especially when you can choose various colours to match your mums personality. I chose this Eva PU Leather Crossbody bag from SwankySwans in the stunning navy blue colour. It is a stylish solution to everyday needs, with plenty of pockets secured with zips and buttons - a gorgeous practical messenger style bag. Based in the UK, SwankySwans is the ultimate shopping destination for unique and trendy accessories made for creative fashionistas across the globe. SwankySwans sell hundreds of distinctive styles of satchels, handbags, backpacks, clutch bags, wallets and scarves. Their inspiration comes from all things cute and quirky to create the bold, fascinating and flamboyant designs SwankySwans are renowned for. As well as the gorgeous bag above, I also picked out this Atlantis Map & Butterfly Purse from SwankySwans too. This beige purse has a mixture of colours within the design so can match against any bag, even the navy blue one. It has space for your notes, cards and even an inner zip for coins. For the same price as a bouquet of flowers you can subscribe your mum to a 3 month GLOSSYBOX plan and she will receive 5 premium beauty products delivered straight to her door every month! 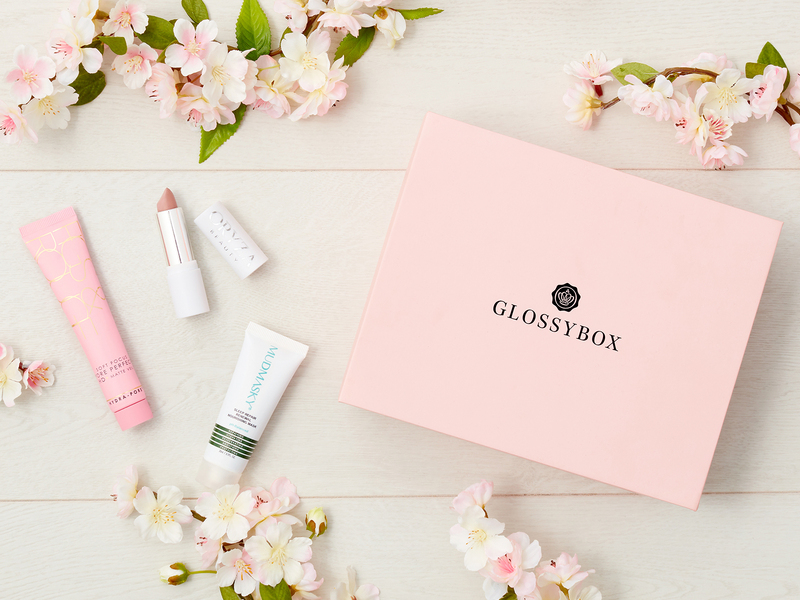 GLOSSYBOX understands motherhood and believes every mum deserves that little bit of pampering on this special day. With a worth value of £78.41 March’s box features a Mudmask night mask to help those pores breathe, a Figs and Rouge pore perfect cream to rejuvenate skin and an exclusive new Lipstick from Oryza. The box will also include two other items from either the Secret Flush from Universal Beauty, a Leighton Denny Miracle Mist, and Illuminating Stick from Laura Geller, Erase from LUE by Jean Seo, La Theorie Des Volcans Noir Eternae Youth Potion, or a Decleor Hydrating Oil Serum. Made in England, the debut collection from Feather & Down features bath, body and home fragrance products, specially created to encourage a restful night’s sleep through a bedtime ritual and the carefully blended Feather and Down sleep fragrance. To promote National Bed Month, I think a set from Feather & Down would be the perfect gift for Mum this Mother's Day - I mean, what parent doesn't need a helping hand to sleep at night, and with their gorgeous scent, mums can settle off to sleep. 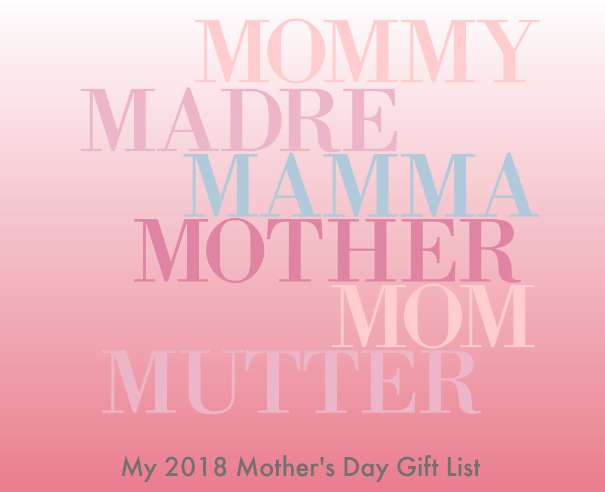 I picked out some of their products that would make an ideal gift (they even have them in their Sleep Essentials Kit too). Sleep Balm, Pillow Spray and Shower Cream contain a blend of relaxing essential oils to encourage a restful night’s sleep, helping you to wake up feeling refreshed and bright, ready for a new day. The Feather & Down Pillow Spray has recently won Best New Health & Wellbeing Product at the Beauty Awards with OK! It's no shock that chocolate would be on this list and what better than the amazing Elizabeth Shaw chocolates. From the sumptuous long, chocolate Flutes that come in 5 delicious flavours to the Crisp, delicious honeycomb in four different flavours covered in chocolate. You can also get some truly divine Elizabeth Shaw Biscuits too which come in 4 flavours - Raisin & Hazelnut, Coconut & Hazelnut, Raisin & Cocoa and Mint & Cocoa. It was obvious that something alcoholic would be on this list, and what better than a gorgeous bottle of Prosecco. This opulent looking Prosecco has a rich fragrant bouquet. It is dry on the palate with notes of green apple and citrus fruits. It looks stylish and alternative, and is perfect for mums who like something fresh and fruity with classic style. Made from 100% soy wax, these small batch candles have been hand poured in the UK. With different choices of scents and designs on the front, I picked out this 'Mum makes a house a home' design and went for the sweet maple and Honey blend with the deliciously sweet notes of Vanilla and Brown Sugar which makes up the Maple & Vanilla Bean candle. These vegan friendly candles have a burn time of approximately 40 hours and come in a jar which measures 8.5cm high x 6.5cm diameter and features a traditional style gold coloured screw top metal lid with a choice of 10 different scents. If your mum, like me, has a bag for every occasion, then I'm sure a purse bag will be on her list of must-haves too. The Molly from Mia Tui is the ultimate small purse you can wear across your body. It has a fully detachable and adjustable cross-body strap together with a wrist strap, allowing two different ways of using the bag. There are 6 sections to this small, but ever so handy, purse bag - 2 sections for 3 credit cards each (6 in total), 1 zipped section for change, a front pocket with magnetic closure and 2 larger pockets for phone and bank notes. It also comes in tons of colours too, my favourite being this stunning Rose Gold. Baby2Body is the digital, personalized health and wellbeing coach for pregnant women and new mothers. Baby2Body is the only global, data-driven platform dedicated to optimizing women’s health, fitness, and mental wellbeing during and after pregnancy by coaching them with effective exercises, nutrient-rich recipes, techniques for tending to emotional wellbeing and fun tips on tending to fashion and beauty. They have also launched a line of curated beauty boxes designed for pregnancy and motherhood - to give women a chance to treat themselves during this special time in their life. The Me Time Box for Moms includes carefully selected products to help moms unwind, relax and take care of themselves - so is the perfect gift for any new mum out there. The brand-new kit, launched by gluten and dairy free experts, Delicious Alchemy, means that you can treat loved ones to a deliciously rich homemade chocolate cake with ease - so easy that even kids can make it as you can see from T's creation above. Each kit comes complete with a gluten and dairy free chocolate sponge mix, chocolate icing sugar, multi-coloured sprinkles and icing sugar to write a personalised message. With clear and easy-to-follow instructions and the freedom to add your own finishing touches, making a gluten and dairy free chocolate cake that serves 12 guests has never been so easy. And it means that the cake is hand made by someone who really wants to give Mum a treat this Mother's Day. And now, how would you like to win a £30 gift card to spend on the SwankySwans website. From bags and purses, to shoes and accessories - there is so much to choose on the SwankySwans site, and £30 could get you a lot for your money. Please remember to check our full T&C's here. (No alternative products, no cash alternative). This giveaway is open to the UK mainland only and any entries left that do not follow the required entries will be disqualified. After any mandatory entries, others will open up to give you extra entries. You do not have to enter by all methods but these will give you extra entries into the competition if you do. And please, if you are commenting on the blog as 'anonymous' can you please write your name in the comment otherwise I cannot count your entry. I'd most like to recieve the Feather & Down Sleep Essentials as I have never slept very well and I am always will to try new products to help! Personalised Framed Poem, "More Than Words" :- Would delight my Mum. My mum would love the Me time Box For Mums. This would be a great prize to win for her for mother’s day. Great site and blog. Well done. I think my mum would most like to receive the Feather & Down Sleep Essentials. My Mama would love the Feather and Down sleep essentials, she loves all sorts of nice smelling sleepy bits and bobs! Probably the Feather & Down Sleep Essentials. I still love a beautiful bouquet of flowers and my son did send some to me on Mother's Day last year. I'd love the Molly Purse Bag from my kids! My wife would like the Feather and Down sleep essentials. The diffuser, I think. They smell so lovely. I would like the verbena spa diffuser,I love to have diffusers around the house. My Mum would love the grace cole set. I would love the molly purse bag - so pretty! Couldn't keep my eyes off the cake - but someone would have to make it for me! The Feather & Down Essential sleep items look lovely! My Mum would love the Elizabeth Shaw chocolates, she loves some choccies at telly time! The feather and down products would be a lovely gift! Eva PU Leather Crossbody Bag would be my choice. I wear jeans most days and this bag would be the perfect accessory. Molly Purse Bag, my mum would love it! I would love The Glossy Box. The Glossybox. Love a surpsie! I have always wanted to try the Feather & Down Sleep Essentials! The purse is beautiful, would love to own it. Absolutely no contest - my mum would most like to receive the Elizabeth Shaw Chocolates! the Let’s Celebrate Chocolate Cake Kit looks awesome - this would be a lovely treat! Feather and Down sleep essentials please! I think I would go for the Prosecco, love that particular one. I would love the Verbena Spa Diffuser. I would love the Glossy Box as love a surprise treat or 5! Personalised Framed Poem, "More Than Words"
My mum would love the Borgo Molino Prosecco. Oh the prosecco for sure! I am pregnant and due in less than a week with my first child so will definitely be wanting a glass of fizz to celebrate! The Maple & Vanilla Bean Soy Scented Candle sounds heavenly! I would love the butterfly purse it looks really elegant. I would love to receive the Atlantis Map & Butterfly Purse. It's so pretty. I would love the Borgo Molino Prosecco. My mum would have liked the pillow spray. I'd try it too. Some of these ideas are really good (in fact I would probably end up getting them for myself!). But in my opinion you can never beat a good chocolate cake. I can imagine that the Elizabeth Shaw chocolates would be lovely-I've not tried them before. The Me Time Box for Mums as it looks absolutely amazing. Everything in there that you could possibly need. Would love the Elizabeth Shaw chocolates! She would really love the Feather and Down Sleep set. I definitely would like the Borgo Molino Prosecco. Thanks for the chance to win this voucher! All look lovely but the Gloodybox is such a lovely idea! The Grace Cole goodies look lovely. I would love the Feather & Down Sleep Essentials as I struggle to sleep regularly, so would love to see if these beautiful looking products helped. My mum would love the Elizabeth Shaw chocolate. I would choose the prosecco and so would my mum. I would love the prosecco - Michelle Wild. Ten Reasons Why Artificial Plants Are Cool!